The State of Emergency declared in Maldives has been lifted after 45 days. The State of Emergency was declared in Maldives on February 5, following the Supreme Court order on February 1 which ordered the release of nine politicians and reinstatement of 12 lawmakers disqualified from their seats by the Elections Commission for floor crossing. The 30-day extension granted by the People’s Majlis for the 15-day State of Emergency declared on February 5 runs out by the end of this Thursday. 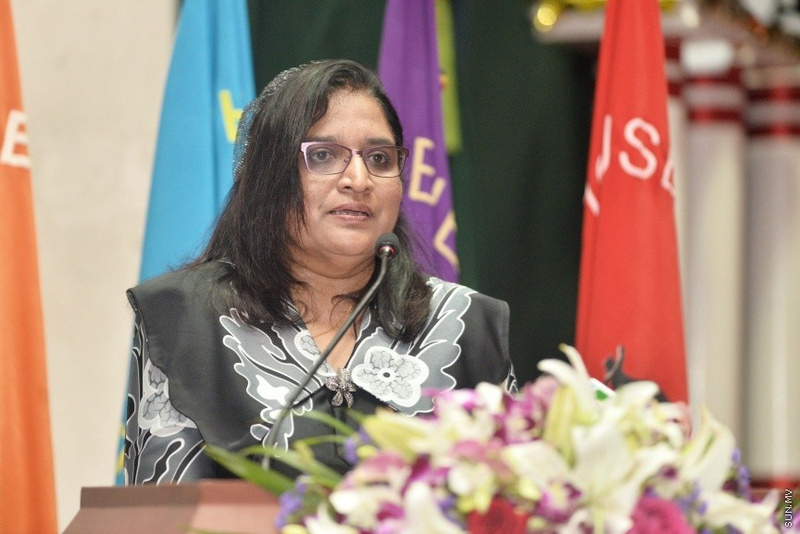 The Legal Affairs Minister of President’s Office, Azima Shakoor broadcasted a statement via PSM this Thursday afternoon, in which she said there no longer existed a condition requiring an extension to the State of Emergency. After announcing the State of Emergency has been lifted, Azima Shakoor read a statement from President Abdulla Yameen Abdul Gayoom. President Yameen said the State of Emergency was declared due to the threat to the independence and sovereignty of the country following the Supreme Court order on February 1, and the events which followed. “It’s clear the actions of those involved [in issuing the February 1 order] created a huge threat to the independence of Maldives and were treasonous to the highest degree,” said President Yameen, in the statement read by Azima Shakoor. The President said he extended the State of Emergency due to no change to the circumstances following the February 1 order which threatened the national security of Maldives. He said he was now lifting the State of Emergency under the advisement of the country’s security forces which guarantees peace and security will be maintained in the country without the State of Emergency. Attorney General, Mohamed Anil said those involved in issuing the Supreme Court order have now been investigated and charged for the crimes. He said authorities were still investigating the case. “As you know, the order issued on February 1 by Supreme Court by two of the court’s judges, Abdulla Saeed and Ali Hameed who had criminal intentions, was a huge atrocity involving criminal actions, bribery, and undue influence involving politicians and State officials,” said Anil. Anil said the security forces worked hard to ensure independence and safety of the public.